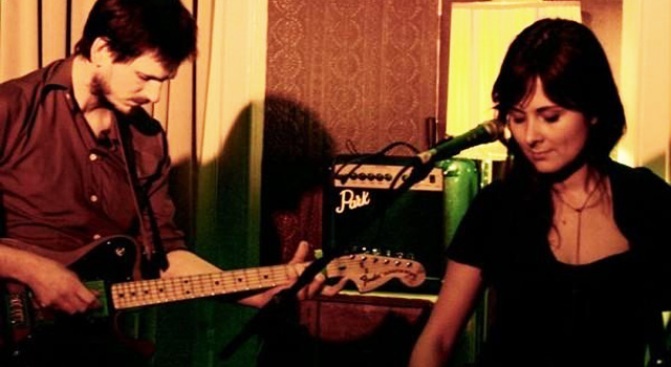 Belgian pair Soy Un Caballo ply their light-footed pop at Pete's Candy Store tonight. Who: Soy un Caballo, a.k.a. Aurélie Muller and Thomas Van Cottom, an indie duo who’ve collaborated with Connor Oberst and Will Oldham (aka Bonnie "Prince" Billy). What they sound like: The soundtrack to a Wes Anderson movie set in the French countryside. An armful of instrumental 1950s and ’60s LPs fronted by angelic, hushed vocals sung in French, maybe by Sufjan Stevens. Spin this track: “A Travers la Neige” on MySpace. Where to hear them: They’ll play a set tonight at 11PM at Pete’s Candy Store in Williamsburg. More information at petescandystore.com.